Even though the economy seems to have leveled off and jobs are now readily available in most fields, altogether too many people are finding that their budgets are being stretched beyond their limits. 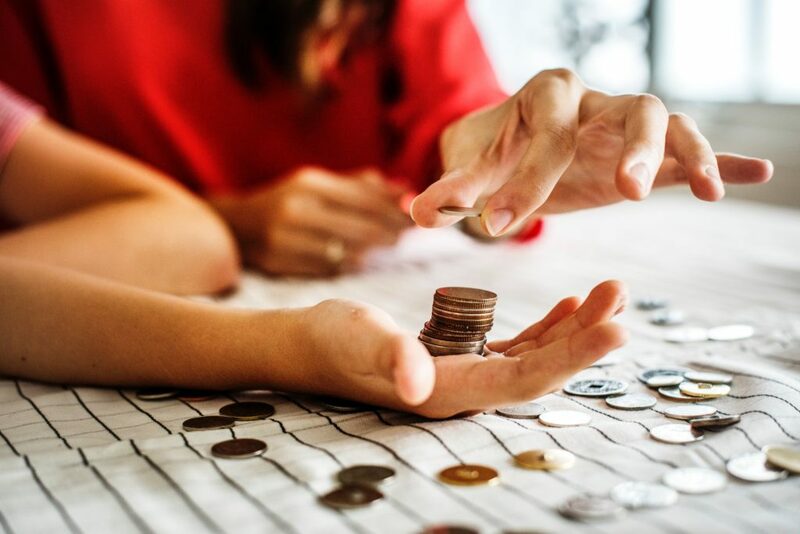 Not only is the average family having difficulty keeping up with their monthly bills, there’s little left over for those things in life they’d like to have, or even need from time to time. Some have taken second jobs trying to accrue some sort of savings while others simply avoid buying things they really need but are afraid to spend money on. Is it really possible to have more without working an insane number of hours? Actually, there are several things you can do to increase your spending power. You can have more with less if you take the time to do a bit of simple math while working your way forward to a new budget that is easier to adhere to. Here’s how it goes. Yes, you’ve heard this over and over again and are so tired of hearing the same old advice that you’ve stopped listening. You are being told to open a savings account, invest money, and plan for your retirement, but no one is telling you where to get that money from! You can plan all you want, but without the funds to invest, it’s an exercise in futility. Planning for your financial future is indeed the key, but first you need to realistically assess your current budget. Having said that, don’t forget that planning for the future is an essential part of budgeting, it’s just not time yet to factor that in. There are other steps to take first! Before thinking about all that, the first step is to create a basic budget. Forget, for the moment, anything other than your monthly/annual expenses. This would include such things as mortgage or rent commitments, utilities, food, clothing and medical expenses. Your basic budget must take into account all those things you need in order to sustain life. Add up your needs, subtract that from your income and if anything is left over, that’s what most people feel they can spend on entertainment or savings. Perhaps that’s the wrong way to look at that disposable income! This is where you’ve gotten ahead of yourself, so let’s back up a bit. Where Can You Save Money on Your Current Budget? Here is where you will probably need to do the most work. This also takes a greater level of honesty than most people are willing to commit to. Some things that we call ‘necessary’ are actually luxury items. For example, there is a huge difference between basic cable television and the package with all the movie channels. Then there are other things which you may be spending altogether too much money on. Item by item, take an honest assessment of just how much you can save by cutting back on each item. From shopping for generic groceries to cutting back on electricity usage, you can considerably increase your spending power on other items. Go down the list of your monthly expenses to see where you can make cuts, no matter how insignificant those savings might seem at the moment. It all adds up to more than you imagine. It’s time now to consider how to grow that money you’ve ‘found.’ Some people feel that the first thing to do is invest in other things which could further increase their savings. Perhaps you’d like to go through your home and retro fit all those incandescent and fluorescent bulbs you still have burning. Maybe you’d like to further reduce the cost of electricity by installing solar panels. From energy efficient appliances to alternative energy sources, these are all good investments that will yield a tidy savings going forward. If you are looking to invest in financial products that will offer future wealth, don’t forget that life insurance is a great option. Remember that you are also seeking ways to provide for your family in the event that you are no longer able to due to disability or death, and that means investing in an insurance product would kick in with benefits if the need arose. You can get life insurance quotes online to find the type of coverage you need at prices you can reasonably afford. No one likes to face it, but the truth is that no one knows what tomorrow might bring. If you have children, this should be one of the first things you add to your budget! Without going into all the philosophical ramifications of a statement like this, there is something inherently practical in it. Even the wealthiest people in the world can be totally unhappy with their lives. Not only can you live a happier life if you focus more on who you are and what you value in life, but you can begin cutting back on those things that aren’t a part of who you are. Sometimes we shop just for the sake of filling time. It is common to buy things we don’t need, will never use and when we stop to really think about it, we never really wanted in the first place. Instead of shopping to fill a void in your life, get out and do something that makes you feel good. Whether it is going for a long walk in the park to feed the ducks along the way or helping at a local food bank, there must be something that makes you feel good that costs nothing to enjoy. In the end, it’s all about distinguishing between need vs. want. While everyone needs creature comforts, there are only so many we need to keep our longings satisfied. You can have more of the things you really want by cutting back on those you really don’t need or want. You can have more on less if you take the time to honestly assess what it is you want. When all is said and done, that is the key to having more of the things that make a real difference in your life.